Simar Singh was among the firsts to release an iOS App when React Native was open sourced. Other than that, his App is one of the most appreciated around this community. Having supported Android too, he's now incidentally among the firsts to have a fully cross platform App built with React Native, outside Facebook. 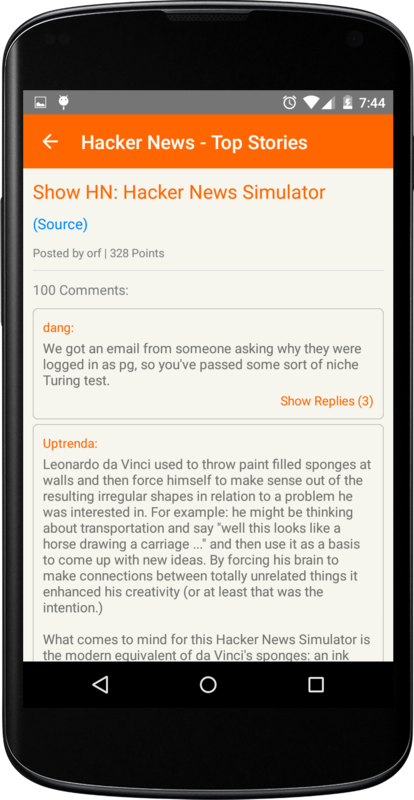 Hacker News reader for iOS and Android, made with React Native. This project uses ParseHTML to render HTML code in the Application.